According to the SBA, nearly 98 percent of all businesses in the U.S. are small businesses—but their contributions to the country’s economy are anything but. Altogether, these estimated 30 million companies account for 65 percent of the nation’s GDP, or gross domestic product. The success of these myriad organizations is clearly vital to that of the U.S. itself, yet many of them struggle due to short-term cash flow challenges. Data analysis by Fundbox, a company that provides small business financing, shows some $825 billion unpaid invoices are a big part of the problem. RewardExpert spoke with Greg Powell, Fundbox’s head of marketing, about the company’s history, its fast-financing products, and why thousands of small businesses are using them to satisfy short-term cash flow needs. Fundbox—which launched in the U.S. in 2014—was inspired by the small business struggles of CEO Eyal Shinar’s mother as the owner of a staffing business in Israel. Though he was only a teenager at the time, Fundbox’s founder recognized the irony of his mother’s experience: the faster her company grew, and the more successful it became, the more cash she needed to have to sustain it. 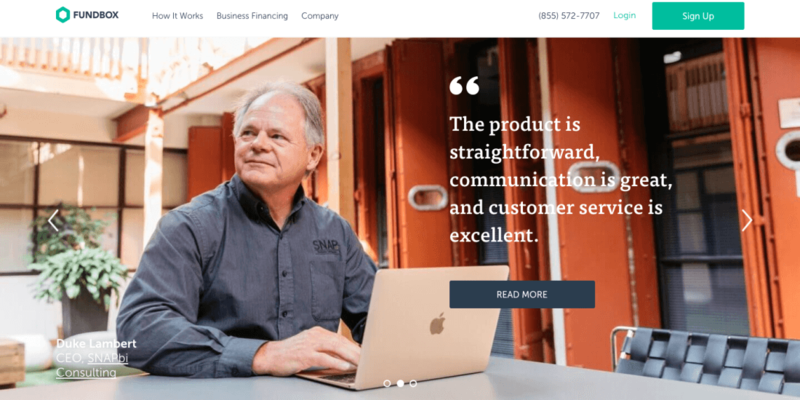 To date, Fundbox has helped more than 70,000 small businesses across a wide range of industries solve cash flow problems with two financing products: Direct Draw and Invoice Financing. Both result in loans with low transaction fees, reasonable interest rates, and 12- to 24-week repayment periods. Neither require a personal credit check or personal guarantee. Fundbox’s Invoice Financing product has been integrated into QuickBooks and FreshBooks, enabling customers using these accounting systems to request advances for unpaid invoices entered in them. “Customers using that deep integration absolutely love it,” Powell noted. In June 2017, Fundbox added Direct Draw, enabling the company to add customers who don’t use the aforementioned accounting solutions. Powell noted that professional service providers, trade professionals, and manufacturers often suffer cash flow problems due to unpaid invoices either because they’re working for other small businesses that are also being paid late or dealing with large enterprises that just aren’t incentivized to pay invoices quickly. When invoices aren’t paid, small businesses struggle to make payroll, expand inventory, buy equipment, make insurance or tax payments, and invest in growth. They can’t turn to a bank for a traditional loan because most financial institutions only approve 15 to 20 percent of the applications they receive. When they do approve an application, they usually require a personal credit check and guarantee, and they rarely agree to loan less than $200,000. Receiving business loan funds from a traditional lender can take weeks as well. With Fundbox Direct Draw or Invoice Financing, however, an automated system evaluates the health of the business almost automatically. Funds are available quickly, and advances can be made in small amounts up to $100,000. No personal credit or FICO scores are required, and payments are made simply and easily through auto debit. “Unlike almost everyone else in this space, we really want to treat our customers like a business,” Powell said. 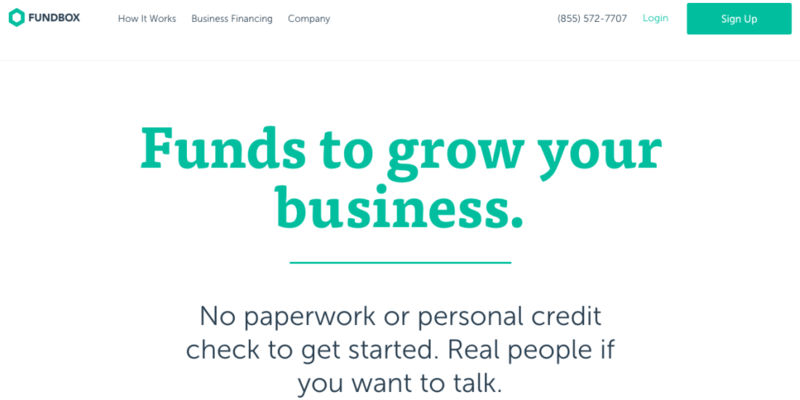 To learn more about Fundbox small business financing, visit www.fundbox.com.